The Breker Trekker - Why Is Cache Coherency So Hard to Verify? Why Is Cache Coherency So Hard to Verify? In last week’s post, we provided a preview of the program at the annual Design and Verification Conference and Exhibition (DVCon) in San Jose, coming up in ten days. We mentioned some of the interesting talks and other activities there, and focused in particular on “Using Portable Stimulus to Verify Cache Coherency in a Many-Core SoC” on Tuesday morning. The paper for this session was co-authored by Breker and Cavium, and both companies will present together at DVCon. The paper and presentation describe the use of our Cache Coherency TrekApp and TrekSoC-Si to automatically generate self-checking, portable test cases for more than 100 CPU cores in a multi-SoC configuration in the Cavium bring-up lab. To set the stage for this story, today we’d like to revisit some of the reasons why cache coherency is so hard to verify and why an automated approach is the best solution. Modified – The current cache has the only valid copy of the cache line, and has made changes to that copy. Owned – The current cache is one of several with a valid copy of the cache line, but has the exclusive right to make changes to it. It must broadcast those changes to all other caches sharing the line. Exclusive – The current cache has the only copy of the line, but the line is unmodified. Shared – The current line is one of several copies in the system. This cache does not have permission to modify the copy. Other processors in the system may hold copies of the data in the Shared state, as well. Invalid – No cache holds the line, so it must be fetched to satisfy any attempted access. Non-determinism is at the root of the difficulty of verifying full-SoC cache coherency. Except in very simple cases, it’s impossible to predict exactly which cache transitions will happen when. Memory timing, refresh cycles, memory controller congestion, interconnect saturation, and other factors can affect cache behavior. 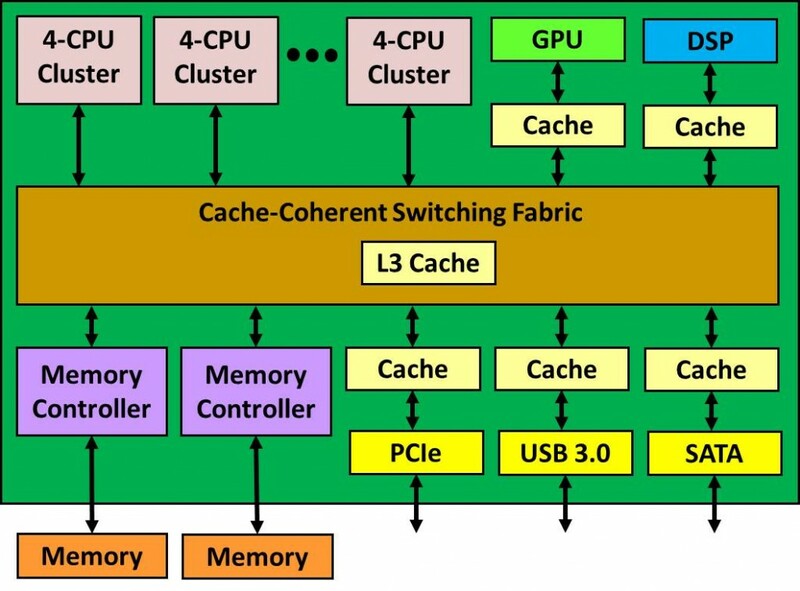 It is almost impossible to imagine hand-writing interacting, self-checking cache coherency tests for a multiprocessor SoC running one on platform, let along making these tests portable. Breker’s approach to cache coherency is a very welcome alternative. 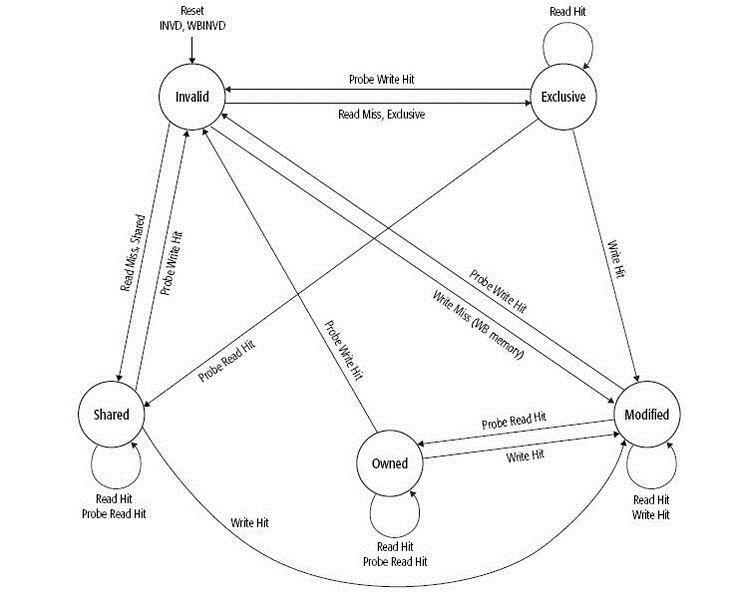 The cache protocol is captured in a graph-based scenario model. Breker’s tools can then automatically generate multi-threaded test cases that cross back and forth among the processors while exercising all cache transitions and covering the items listed above. These test cases can be generated to run on any verification platform, from simulation to silicon. To find out more details in the context of a real Cavium design, please attend our DVCon presentation. Thanks! Guest Post: Rain or Shine for the EDA Cloud? This entry was posted on Friday, February 19th, 2016 at 2:59 pm. You can follow any responses to this entry through the RSS 2.0 feed. You can leave a response, or trackback from your own site.